This Diamond belongs to the family of orange diamonds. 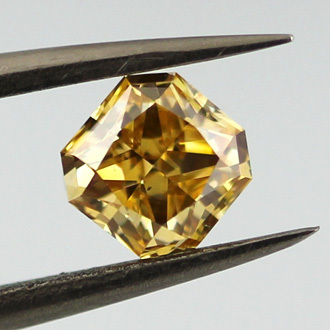 While a pure intense orange diamond will cost tens of thousands by having the secondary yellow color the price tag of this amazing gem, a GIA Fancy Intense Yellow Orange Diamond, was reduced dramatically. The yellow color also makes it a bit lighter and adding to its sparkle – a great find.